IN, OUT, IN, OUT, AND SHAKE IT ALL ABOUT!! OK, so we probably don't update this News page as often as we should, but that's because we're always so busy skanking!! It doesn't seem 5 minutes since we were welcoming Two Tone Tim and Mad Moonstomp to the band in the last News story, when in fact it was all of two years ago! And now, whilst Tim is still going strong, Moony has departed - although he still helps out at the odd gig so you may be lucky and catch a rare sight of him! 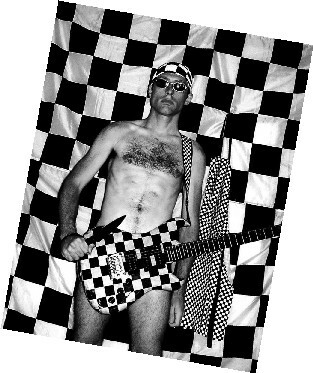 But fear not, because all this just means that we can proudly announce our new ska guitar star to the world - none other than Modern Matt Skank, formerly of mod guv'nors The Modern Affair. Matt makes the small jump over the fence from mod to ska, and he loves a bit of it!! 2017 is drawing to a close - only one gig to go so don't miss it!! - and 2018 is already jam packed full of gigs... a proper ska frenzy for everyone. Come along and catch Modern Matt in action: he'll be the one in the sharp suit making the rest of us look a bit shabby! It's non-stop gigging in 2018, so we'll be appearing at a venue near you soon... see you there!! It's been rumoured for some time, but now we can confirm it - Sarge has decided to take a well-earned break and hang up his trilby!! So long Sarge, and thanks for the skanks!! And so now it's time to welcome our brand new guitarist to the band... step forward Mad Moonstomp Skank!! We're very lucky to have found someone with the same surname as the rest of us - the talk is that he may be related but this is as yet unconfirmed. We'd also like to announce the arrival of Two Tone Tim, who has manfully helped us through our Sarge-less period and is currently acting as our guitar supersub for when Boots feels poorly. Which is quite often. After a busy September the band are taking a few weeks off gigging to work on adding yet more ska classics to the set... we'll be back with Mad Moonstomp in tow and a bunch of new songs to play on 23rd October at The White Horse in Derby - one of our favourite venues. See you there skankers!!! 2015 - A SKANK ODYSSEY!! Wow, what a skanking start to 2015!! It's been music, mayhem and madness all the way, with venues so packed that the crowd has spilled out onto the stage more often than not. Boots' guitar, The Skankmaster-General's beautiful top hat, and beautiful Boots himself have taken the hits, but you can't stop the ska - we just skank right through!! We've also found time for a slot at the prestigious Robin 2 in Bilston as well, as you can see here. Mad for it! Jackpot!! Bonkers!!! Check this video for a spot of the type of madness that's been in the air - poor quality sound unfortunately but top quality mayhem. If you fancy a bit of this at your venue, you know who to ask! Just give us a shout to get yourself skanked up to the eyeballs!! The ska year continues apace, with appearances at The Blue Bell (Long Eaton), The White Lion (Sandiacre), Chillfest (Beeston) and the Derby CAMRA Beer Festival all coming up before you can blink. Stay with us for your regular two-tone top-up!! Are we getting old, or do years not seem to last quite as long these days? So it turns out that the Year of the Cat (see news item below) didn't last quite that long... unfortunately Cat Skank's vocation as a singing teacher meant she couldn't bear a moment more of the Skankmaster-General's foul whining and she disappeared into the sunset faster than you can say "learn to sing properly mate!!" Or, more accurately, she found that the vocal tutoring took up so much of her time she couldn't devote enough attention to the band and so nobly fell on her keyboard (thankfully not literally). 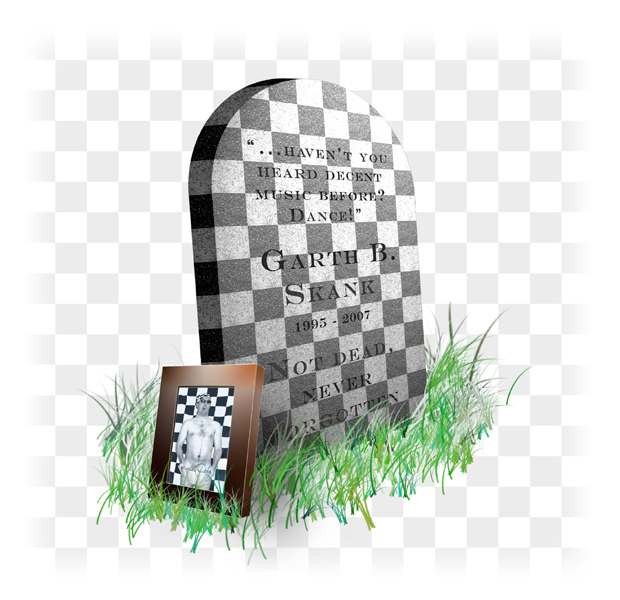 Bye-bye Cat, and thanks for the gigs you played. Hopefully we'll see you back in a guest slot before too long!! And so, keyboard player number five of the year bravely steps up to the mark... welcome to the Skank Brothers Mr Razz Berry Skank!! Razz has already played two searing gigs with us, starting off with a party in Plumtree and then at the White Horse in Derby. His combination of keyboard virtuosity, enthusiastic lugging of equipment and having his own van has meant he's settled into the band like he's been skanking all his life. Which he probably has. Welcome to the band Razz, and please do remember, if you leave before your 6-month probationary period is up we will track you down and kill you slowly. You can't get out of it now, it's in your contract!! Skanking with Razz continues apace, with the band appearing next at the White Lion in Sandiacre on 29th November, followed by a slot supporting Complete Madness at The Musician in Leicester on 12th December. Keep it here for the very best in all things ska!!! IT'S THE YEAR OF THE CAT!!! The Incredible Skank Brothers are delighted to announce our new big-money deadline day signing - our fantastic new keyboard player, Cat Skank!! Big thanks go out to The Skank Machine for holding the fort for so long on the ivories, but he was only ever a loan signing, and he now returns to his first love of Operatic Progressive Heavy Wibbling or some such thing. Cat brings youth, energy and superb keyboard skills to the mix, and is of course a considerable upgrade in the... ahem... aesthetics department. No offence intended, Mr Machine! The Skankmaster-General was unavailable for comment when asked which of these criteria were used in the selection process. Cat made her debut on Sat 13th September and played a blinder in a storming gig at The Air Hostess in Tollerton, where the world record for the most people doing the Can Can at any one time came under serious threat. What a gig!! Rumours that the band are about to change their name to The Incredible Skank Sisters as a result of the increased female influence are as yet unconfirmed. The Skankmaster-General does appear to have recently taken to cross-dressing, however, as pictures here show. You can catch Cat and the rest of the band in white hot skanking action at several more gigs this year, starting on Saturday October 18th at The Out of Town in Ripley. Don't miss it!!! A RED HOT SUMMER OF SKA!!! The Incredible Skank Brothers are well and truly back and on the skanking form of their lives!! After kicking off with a storming set at the Butchers Arms Beer Festival and a highly-acclaimed show for the boys at Chilwell Barracks, your favourite skankers landed next at Waynestock and very nearly blew the roof off. And set fire to the stage, but that's another story. The on-stage blaze was quickly quelled, the show went on, and as far as we hear the venue floor is only just starting to look like itself again after heavy pressure due to sheer weight of skankers. We're taking a short break now to recharge the ska batteries, but late summer and early autumn see a new barrage of skanking activity. We start off at the legendary Golden Diamond in Mansfield supporting the fantastic Radio Clash, followed by headline sets at The White Horse in Derby, the Air Hostess in Tollerton and the Out of Town in Ripley. See the gig guide for more details!! Keep it here boys, and keep skanking!!! You asked for it, we promised, and now here it is!!! The Incredible Skank Brothers are officially back at a venue near you, right now!! Saturday 3rd May 2014 is the big day, and The Butchers Arms in Woodsetts, Worksop is the big venue. And the big news?? It's a BEER FESTIVAL, and it's absolutely FREE to get in!!! So get your best skanking trousers on and get down to the Butchers for the ska experience of your life. See you there!!! Yes indeed, we are very happy to announce that after a... ahem.... brief period of inactivity, The Incredible Skank Brothers are back - and this time it's personal! 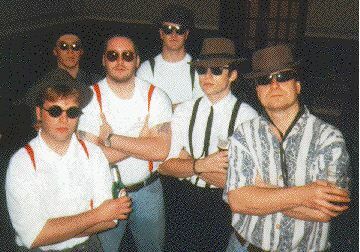 The band were forced to disappear for a while due to a number of skank-related injuries and bad hangovers. But now they're back, in a new town, with some new tunes to go with the old classics, and they're ready to turn the skank up to 11 again. 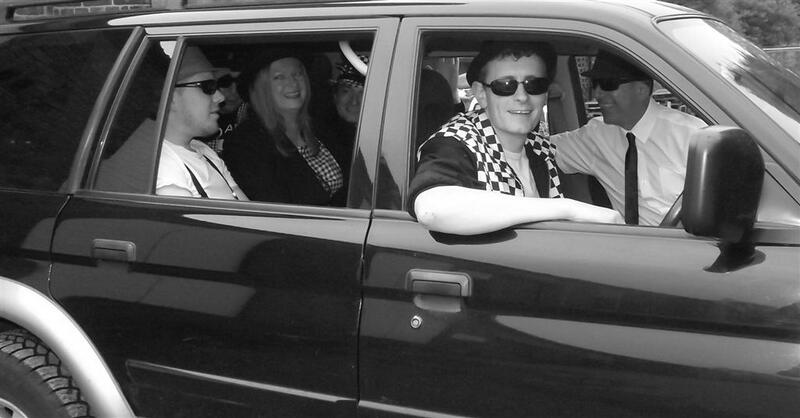 Nottingham is now the place to be for your number 1 ska experience, and the guys will be out on the road giving it their all very soon. At the moment they're in rehearsals, polishing their trombones and dusting off their trilbys. But not for long - Nottingham awaits, and it will be skanked!! Gigs will be announced soon on this very website. Don't go away!! Mad for it. Jackpot. And, indeed, bonkers. Breaking news... the Incredible Skank Brothers have a new drummer! From a sackful of hopeful applicants one lucky name was drawn at random, with S. Wolfie Skank winning the chance to thump the tubs in the North East's premier ska revival band. 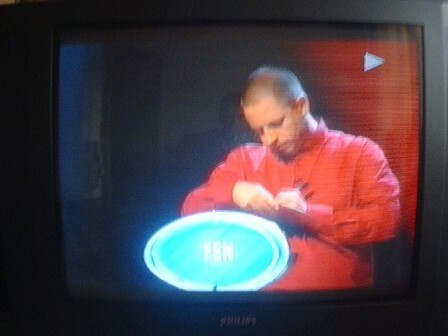 When his good fortune was announced on international priority television, he was somewhat surprised: "I thought I was winning a week's supply of tea," said the lucky man, "But, hey, maybe they'll club together and buy me some anyway." 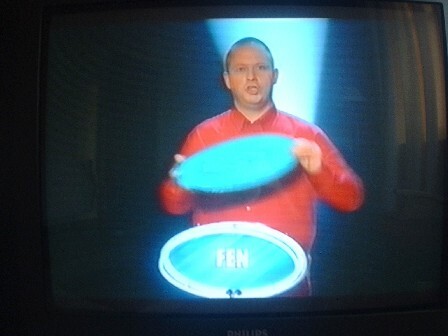 However, the coincidental circumstances of his appointment have raised some considerable suspicion - firstly, his surname is 'Skank', and secondly, he is actually a drummer. It is rumoured that he has known the band for years, and indeed seen them play live on numerous occasions. Unfortunately, none of the band were willing to comment on these points. One question though: what does the 'S' stand for? No-one would be drawn on an answer, not even the 'man' himself. So it falls to you... answers on a postcard to the usual address. IS THE DRUMMER SACKED... (UPDATE)... subtext: OH YES HE IS!!!!!! The Incredible Skank Brothers are delighted to be able to announce that they have finally managed to scrape together enough money to buy a one-way plane ticket to Australia for legendary drummer Stevie 'Skin' Skank. They sent him off in style with a big party (see Skank Era pics for pics of his last blow-out). Applications for the position of a vacant replacement drummer are already flooding in. FINGERS UP TO SKANKY BILK! 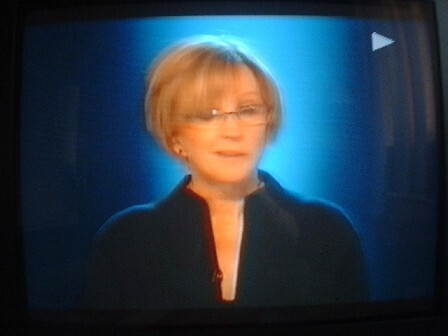 Incredible Skank Brother vocalist Lieutenant Fen Skank Homicide recently appeared on TV on The Weakest Link, in order to try to earn the band enough cash for a new PA system. 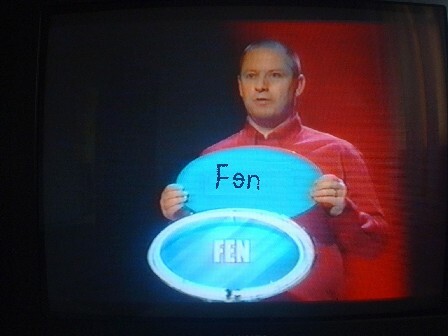 Unfortunately, in a bizarre mis-understanding of the rules, 'Fantastic Fen' accidentally voted himself off the program. So he didn't win. Any reasonable PA donations from people feeling sorry for Fen, payable to Collection Aid Skank Hardships (or "CASH" for short), should be sent to the usual address, and will be gratefully received. Cheers. We are sorry to have to report the sad demise of Lenny 'The Lips' Skank, sax player extraordinaire from The Incredible Skank Brothers. A sad explosion happened at the end of a recent gig in Newcastle, and 'The Lips', who is sadly missed, exploded in a puff of smoke and saliva. We raise our trilbies to him. The remainder of the band aim to replace his beautiful meandering harmonies with a league of new saxophonists by the name of Voice 173, Voice 175 and Voice 176. Now available, the Incredible Skank Brothers as you've never seen them before, in their 2004 Calendar. All proceeds (4 pounds) to go to charity. INCREDIBLE SKANK BROTHERS LIVE CD NOW AVAILABLE! Available at gigs for free - just see HMS Sid or any of the band for details!! BEDDERS GIVES INCREDIBLE SKANK BROTHERS SEAL OF APPROVAL! 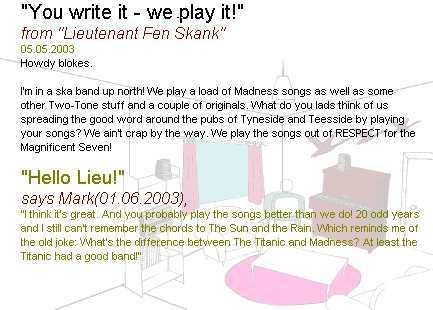 On the Madness homepage (www.madness.co.uk) Incredible Skank Brother voxalist Lieutenant Fen Skank recently asked if the Nutty Boys themselves minded their music being imitated by the skankers. 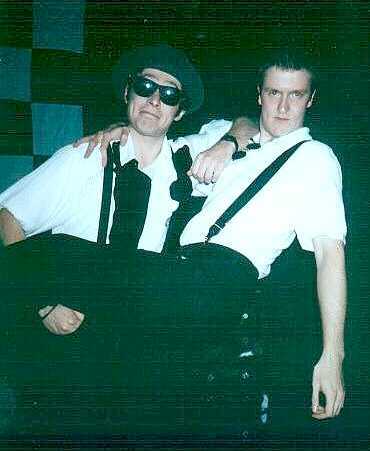 Bassist Mark Bedford (aka Bedders) replied on behalf of Madness to say that they thought it was great... and who knows, Madness may be covering Incredible Skank Brothers songs one day!! A drunken brawl between bodyguards, paparazzi photographers and HMS Sid Skank threatened to spoil the night last week when HMS Sid was attempting a quick getaway in a stretch limousine after a gig. An as-yet unidentified fit blonde model accompanied the Incredible Skank Brother's rhythm guitarist as he tried to escape the gig incognito, when the photographers invaded his privacy. That's when all hell broke loose. Mr Skank, speaking from his hospital bed last night, was unavailable for comment. 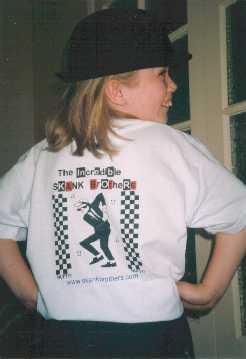 Due to popular demand, we've had a new set of Incredible Skank Brothers T-shirts printed!! they will be sold at gigs for the bargain price of 9 pounds sterling!!! White 100% cotton T-shirt with colour design on back, skank logo on front. THE INCREDIBLE SKANK BROTHERS DON'T TURN ON THE NEWCASTLE CHRISTMAS LIGHTS! The Incredible Skank Brothers will no longer be turning on the Christmas lights in Newcastle City Centre. Rumour has it that Geordie celebrities Ant & Dec were scared of being overshadowed by the band so pulled the plug on them. Or maybe it's because they were too nervous to ask for the band's autographs. Hopefully next year will finally see The Incredible Skank Brothers turning the lights on... Watch this space!! BIG BIG GIG SCARES THE LIFE OUT OF THE INCREDIBLE SKANK BROTHERS AGAIN! It seems that the people of Hartlepool enjoyed The Incredible Skank Brothers at last year's open-air Fireworks gig, because they've asked the lads back! Hartlepool Fireworks & Music Spectacular, taking place on Seaton Carew beach, will again feature the lads as the headline act in front of several thousand people on Saturday 2nd November. Unfortunately, rhythm guitarist HMS Sid Skank is away on holiday for the weekend, so the Lost Skankers 6 will be the Lost Skankers 5 for one night only! Recorded, edited and engineered by top artist and designer Karen Little. FIREWORK GIG MOVIE FILES NOW AVAILABLE!! BIG BIG GIG SCARES THE LIFE OUT OF THE INCREDIBLE SKANK BROTHERS! After only having played to a biggest ever audience of 350 people, November 2001 saw the scariest gig the lads have ever undertaken. Hartlepool Fireworks & Music Spectacular, taking place on Seaton Carew beach, featured the lads as the headline act in front of several thousand people. Billed as "Top showband The Incredible Skank Brothers" officially scared the hell out of all the Skankers. 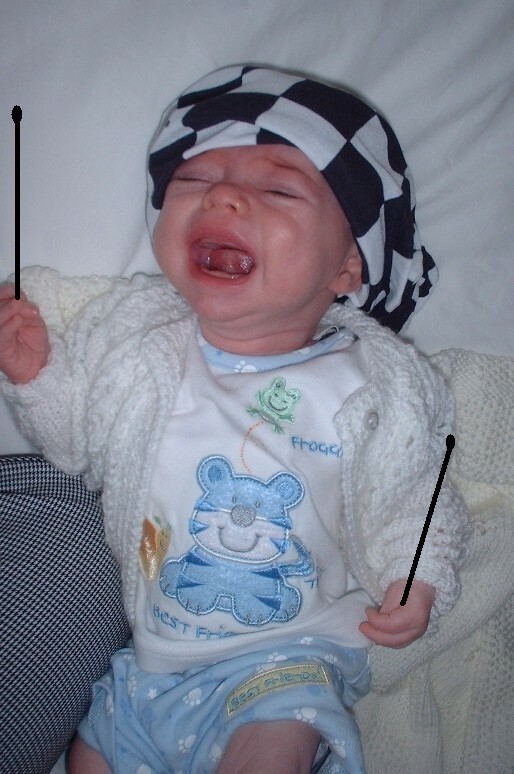 Asked to comment on the event yesterday, Posh Baby Ginger Skank said, "Mwah! uh-huuuurrrr!" COMEBACK GIG .MP3 FILES NOW AVAILABLE!! RETURN OF THE LOST SKANKERS 7! After a couple of years of being lazy idiots, the lads have decided to dust off their trilbies, polish their shades, and get back on stage. Lieutenant Fen Skank Homicide, the original singer with the band, has returned to perform alongside longtime singer Garth B Skank. The Lieutenant has also enlisted real-life relation Posh Baby Ginger Skank as the Brothers' ace new lead guitarist. The gig was played at The (Top) Swan, a renowned backstreet pub on Windy Nook Road in salubrious Gateshead, on Friday 11th May. SID AND GARTH IN UNTRUE GAY RUMOUR SHOCKER! Here they are captured with photographic evidence - the world was shocked for a moment, until the real truth came out - they find each other about as attractive as a wasp after being chewed by a bulldog. The photo was actually taken as part of a publicity stunt in aid of a local animal rescue charity. A spokesman for the band was quoted as saying, "Don't be so bloody stupid, man. I mean, would you? 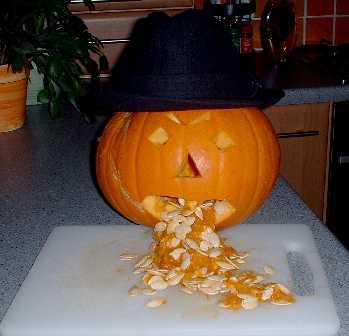 Now if you don't mind I've got to get on with feeding my pet tangerine. Good night." 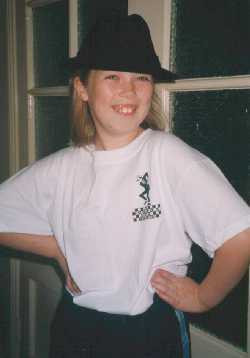 EMBARRASSING AFTER-GIG PARTY PHOTOS UNCOVERED! The photos they didn't want you to see!